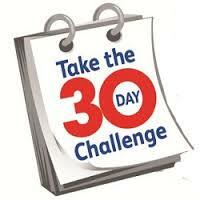 "Free 30 Day List Building Challenge"
In The Next 30 Days - Or Less! You'll be amazed at this simple, 30 day process that shows you how to build your email list faster than you've managed to in the last 3 months! Listen, there are 2 problems (related to each other) with most list building challenges. Good list building weeds out looky-loos and keeps serious prospects. That's why I chose a different theme and target for this 30 Day List Building Challenge. ... And Earn $100 As You Do It! Small, focused lists of passionate subscribers outperform larger general ones. a dollar per month (on average) with your business. In other words, 15 hours will build you an asset worth $1,200 per year! I don't know about you, but $80 an hour isn't chump change - and certainly worth more than the typical 80 CENTS an hour most list builders earn from their efforts! 1. You get access to 2 things that will speed up your list building - a high-value incentive to offer new subscribers, and a tested, proven 30-day series of follow up emails to make you money. 2. You'll need an email autoresponder to build your list. I use (and highly recommend) Aweber.com - click here. You can get a 30-day trial for just $1 - and if you continue using it, you'll only pay a modest $19/month. 3. You get one daily lesson or tip on list building. Following it will take you a few minutes. Each step will add 2 to 25 emails to your list. If you implement the 30 tips, you'll gain at least 100 new subscribers by the end of the month. 1. Does my niche matter? The list building incentive report and pre-written email follow up messages I'll send you are specific to the "online business/make money" niche. If you're in other niches, you can create or use your own. 2. Can I use any other autoresponder? One reason I recommend Aweber is because you can import the follow up email series within 3 minutes by inserting the code into a box and clicking a button. With other services, you'll have to manually enter each of the 30 follow up messages. 3. Do you guarantee results? Absolutely not. I can't even guarantee you'll read these messages, or take action on them. How can I guarantee your results? All I can say is others who have followed this approach were successful. 4. How much time will it actually take? Around 30 minutes every day. If you're technically proficient, you'll finish sooner. 5. Can I get all the 30 lessons right away? I'm not sure why you'd want them. But all the lessons will be published on the website, and can be accessed at your convenience. Doing one a day makes it more likely you'll take action. 6. When will I get my first subscribers? It might happen later today. Or it may take a week. Or even two. It's not predictable. But if you take the right steps, it will happen. 7. How will I make money? The follow up messages promote a series of infoproducts. Sales are processed through Clickbank.com which offers an affiliate program paying 50% on each sale that is referred through your list. 8. When will I start making sales? It could happen tomorrow. Right from the start, the follow up emails are geared to sell stuff. 9. How do I get started? Click here to begin. 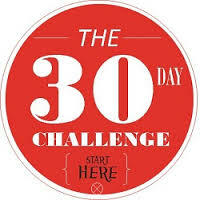 STEP #2: Join the 30 Day Challenge List to receive a daily lesson by email - Click here (Registrations are open now). If you need any assistance, or want to share your success with others taking the challenge, be sure to drop by our Facebook Group Page. It's a private group only open to members participating in the challenge, though anyone can view the messages.